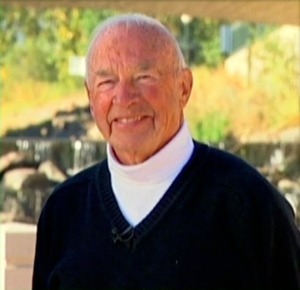 Joe Shoemaker, a leader in reclaiming river and creek corridors, passed away on August 13, 2012 in Denver. Joe was an inspiration for many in Boulder who worked on the first Boulder Creek Plan including creek planner Susan Osborne, engineer Gary Lacy, the Parks Board who approved the plan and a City Council, led by Spense Havlick, who would do as Joe did – get in a boat to see the creek first hand and build partnerships to implement the vision. What a wonderful legacy Joe left for all of the communities who followed his vision for the South Platte and implemented creek and river plans in their communities. As the Associate Director of The Greenway Foundation, it is with a heavy heart that I tell you that Joe Shoemaker, the founder of The Greenway Foundation, passed away last night. Joe was a visionary who stood on the banks of the South Platte River (when there was not a single park or trail, when the river was so polluted that it was toxic to touch, when raw sewage was being pumped into the river, and when no one else thought the river had a chance of survival) and said, “we can do better.” Everything The Greenway Foundation is able to do today is possible because of his passion, vision, and dedication to a “lost cause” of a river. It is impossible for me today to even imagine Denver without the vibrancy of Confluence Park, the quiet tranquility of Grant Frontier Park, and the organized chaos of summer camp at Johnson Habitat Park. All of this was made possible by a one-of-a-kind man in Joe Shoemaker. If you would like to reach out to the Shoemaker family, you can email Jeff at jeff@greenwayfoundation.org. I will let you know when information about the services for Joe are available. Thank you for the outpouring of support that many of you have already shown. Many of you have asked about the possibility of remembering Joe through a donation to either The Greenway Foundation or The Foundation for Colorado State Parks. If you wish to do so, you may make a donation in Joe’s memory to either The Greenway Foundation here or the Foundation for Colorado State Parks here. I would also encourage you to take a few minutes of your time to read the except from the very beginning of Joe’s book, Returning the Platte to the People, that I have pasted below. I thought this was a fitting way to remember the greatest hero of the South Platte River today, and I hope you will take a few moments to read it, marvel at how far Joe’s dream has come, and, for those of you who knew Joe, to revel in picturing him chasing down the truck, and for those of you who did not know Joe, to experience the unbridled passion that he had for our river as expressed in the final line of this excerpt. Read the entire piece at Joe Shoemaker. Previous Topic: How Green is Boulder’s Land Use Transportation System?